Pharmaceutical pollution is increasingly recognised as a threat to ecosystems and human health globally. Critically, the discharge of pharmaceuticals into the environment has also been linked to the development of antimicrobial resistance (AMR), which is recognised by UN Environment as one of the biggest global public health concerns. Pharmaceutical manufacturing is a source of pharmaceutical pollution that is further exacerbated by poorly enforced environmental legislation in countries such as India and China. Several studies show that polluting factories breeding resistant bacteria are exporting to EU markets and directly selling drugs to EU-based healthcare providers and buyers. Recognising this threat, HCWH Europe sent a survey to the top 50 pharmaceutical companies to learn more about how they manage manufacturing waste throughout their supply chains. This survey covered aspects such as waste and pollution management, environmental sustainability, governance, and transparency. 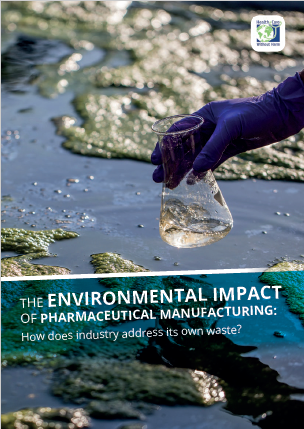 The results have been compiled in HCWH Europe’s report The environmental impact of pharmaceutical manufacturing. Through its operations, the pharmaceutical industry has a substantial impact on the environment, therefore manufacturers not only have a critical role to play in addressing these issues, but also a responsibility to foster environmental sustainability and reduce pharmaceutical pollution at source, throughout their supply chains. The survey responses used in this report help provide a general introduction to the subject and do not offer a representative sample or showcase best practices. The response rate however, indicates an industry-wide lack of transparency and reluctance to acknowledge the responsibility to protect the environment from pharmaceutical pollution. The study shows that although these companies frequently disclose general data related to environmental sustainability and governance, detailed information relating to specific measures taken to prevent pharmaceutical pollution at own-operated and supplier facilities remain unavailable to the public. Therefore, there is a need for greater transparency from the industry in this regard. Increased transparency could encourage further responsible practices such as reporting environmental incidents, promoting extended environmental risk assessment, and/or driving technology investments. This report is another step in HCWH Europe’s continuing efforts to challenge the pharmaceutical industry to clean up its production as part of our Safer Pharma campaign, initiated to protect the environment from pharmaceutical pollution at all stages of their lifecycle. Our campaign also seeks to raise awareness within the healthcare sector about the impact of pharmaceuticals in the environment and encourage rational prescription practices. Through this campaign we hope to also raise awareness amongst citizens about the impact of pharmaceuticals in the environment and the steps they can take to tackle the problem. 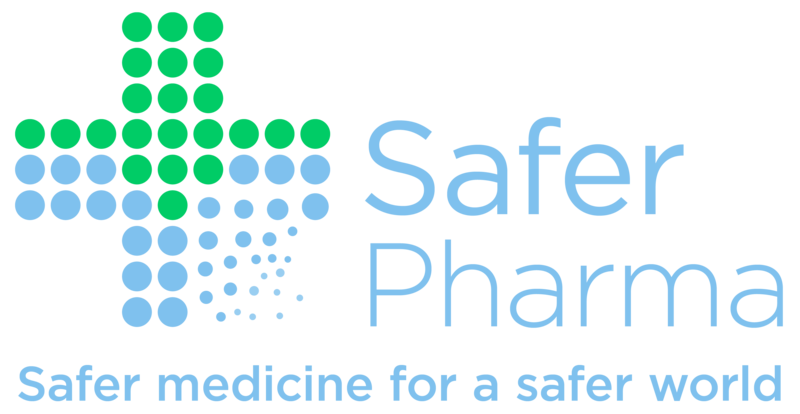 For more information, please visit www.saferpharma.org.